I was thinking of making a poster with all the knots I've diagrammed (about 6-8 depending on how many starting knots you count as "different" knots). Probably USRSA members have this kind of chart already, but you can still help me out with the project by giving me your feedback on the clarity of my sketches vs. other reference materials you have. I'm not sure what the name is, but what I use is slightly (but significantly) different. I use the over/under/thru over/under/thru knot, so at diagram 5 we do it different. Sorry, I have no idea what they are called, but I think these knots are recognizable to the real stringers on the board. Anyway, these are the two basic knots I've used for 15 years and I have never had not even one problem with knots coming loose or breaking, etc. I have more diagrams -- I just put up the "simplest" knot for demonstration. The problem I have is that "over/under/thru - over/under/thru could be a double half hitch or a two-half hitch, depending on what you go through on the second part. I've sat through videos where a guy says "this is my special knot", and when he talks through the steps, you think, OK... then you tie it and it's a standard Parnell knot. The point of my poster will be just to make a reference for beginners who are not "real stringers" (i.e., certified / passed tests on this kind of stuff) so they don't have to waste as much time on youtube. I don't know what the name is. Or rather, I don't remember what the name is. Is over/under/thru - repeat the Parnell? Is there a name for the starting knot for a 2 pc where you make two little loops and thread the end thru the loops then pull tension to tighten it? Arn't these easy enough to find online.. and once you do one, it's really hard to forget. Otherwise, good luck on that. It'll be cool to hang in a pro shop or a stringer as decoration. It's like having https://espressocoffeeguide.com/wp-content/uploads/2010/10/espresso-field-guide.jpg this up in a coffee shop. Where is the link for funding Irvine? Seems pretty easy I tie a Wilson pro knot for everything. Over under through, pull the loop nearly tight then feed the tail back through then cinch up the loop and then the tail. Yes, of course. The 2nd over/under/thru the "thru" part goes through both loops. So I guess then I use a Parnell for all my tie-offs. So, is a Wilson pro knot the same as a Parnell? If not, what is the difference? Yeah. For a 2 piece job. After the mains are in and tied and I start the cross, I tie off the beginning end of the cross to one of the mains. The beginning end of the cross string goes from the string bed area through a grommet, then back into the string bed through another grommet shared with a main string. Then I make two little loops around the main string, then take the tail and pass it around and back through both of the two little loops. Then I pull tension the other way, and it snugs up real nice. And it looks nice. Is that just called a starting knot? I'd think there are a number of different methods to tie a starting knot, didn't know if this style has a name. It needs a name. I hereby christen this starting knot as the "Loop Loop Tail In Snug It Starting Knot". LLTISISK for short. It is not copywrited. You may all henceforth use this name royalty free. The Wilson Pro knot does not go under the anchor string twice, and goes through the first loop differently. That little difference on the way it goes through the loop doesn't really matter though it can be correctly later. Videos demonstrating each relevant knot already exist on YouTube. I can't see why anyone would fork out $15 for the same information, if they can get it for free. The colors are pretty, though. Is that colored pencil or crayon? Per your description, would you say the Parnell has a bigger knot than the Wilson? I know, or at least for me, the Parnell is bulletproof. Is the Wilson a stable, secure knot also? Main reason for using one vs the other? Which is more common for professional stringers to use? The Parnell has a bigger footprint then the pro knot. Yes, the pro knot is very stable. IMHO the small foot print of the pro knot makes it a great knot to use in tight spaces, but potentially not as great a knot to use if the tie off grommets are significantly worn or flared. I would guess that the pro knot and Parnell are the most commonly used finishing knots at the pro level. But that's just a guess. Not a clue which one is more popular between the 2 of them. Personally, I think the Parnell is more versatile. But they're both great finishing knots. The Parnell is bigger and easier to make so the tag end lays right. Some people prefer the Wilson in tight quarters but I have no trouble tying the parnell anywhere. Seriously though , no interest on my part. For beginners who are learning it's MUCH better to see it done on YouTube with colored ropes in a box than try to read a poster. I have to point out simply that my old Boy Scout training has paid off for me in this area. For what, starting a fire or paddling a canoe? If you look close the Wilson Pro, Parnell, and Starting knots are all just an overhand knot. How much string do you guys leave to tie finishing knots? Sometimes when I/m trying to save string and have just barely enough I find it hard to tie a pro knot or parnell. I find it easier with a longer piece of string but don't want to waste if I don't have to. I leave enough to reach my tensioner easily and have plenty to tie knots. About 12" minimum is needed to reach the tensioner gripper but usually but I'd rather be 12" over than 12" short. I don't worry about inches of string. I've been able to tie the pro knot with about 3" of string -- the problem isn't tying it, it's getting enough of a loop after you tie it to cinch it down tight by hand or starting clamp. Cinch down with the needle nose pliers and the string is likely to break, so go to be really gentle like. As for the poster, the point isn't that you can't find the information out there... it's just not in a good, efficient format. To learn all these knots requires at least 30+ minutes on youtube... So I think most people take the 30-40 minutes just to learn one knot, and then they use it for everything and ignore other knots (or maybe learn one starting knot too). Just from comments to the thread, despite all the videos out there, it's clear people still get confused between a Parnell and a Wilson. Self-stringers and beginners might use a knot they learned from a teammate, but not know the name. And like Irvin said, most knots are some combination of overhand knots... so when a guy says "I always use the same knot -- it's over, under and through, over, under and through"", he could be any of a bunch of knots. The poster concept would help that experienced but "intermediate" stringer start to call them by the right name. I have seen demonstrations of that second starting knot, but never once has someone on youtube called it "the Fishing Knot". (If anyone recognizes the source of these diagrams, please let me know what [book] they come from). Also I don't think the "standard starting knot" in Figure 30 is a legit knot... it's a figure 8 knot and folks here have told me in another thread that it's not a knot anybody uses. Over under through, over under through is a double half hitch. Have you used any of those knots? That diagram is from USRSA Stringer's Digest. If that came from the USRSA my opinion of the USRSA just hit rock bottom. Ok, I use the fishing knot to start the crosses on a two pc. For some weird reason I enjoy tying that! EDIT: FYI TW's policy - $15 for a poster to be drawn with your crayons at a later date is a direct violation of TW's policy. Forget violation of policy. It should be deleted strictly on the basis of blatant stupidity. If a double play is a pitcher's best friend what is a double playjerise? A crime against humanity, and the inability to use spell check? Let's just ban the guy. Indeed. Why not just write pleɪdʒərʌɪz, like in most civilized languages?! As far as my diagram being a "crayon drawing", nearly all visual content gets created in a rough form first -- whether you are looking at a a million dollar CGI cinema effect, or a study for a composition. My sketches are more than adequate for my own stringing use, but if there is an interest I was willing to spend the hours needed in Photoshop to get them cleaned up to production level. That's why I envisioned it as being an ideal GoFundMe project. And also, it's not crayon. Since there is apparently a consensus that this is a scam or waste the idea is hereby withdrawn. 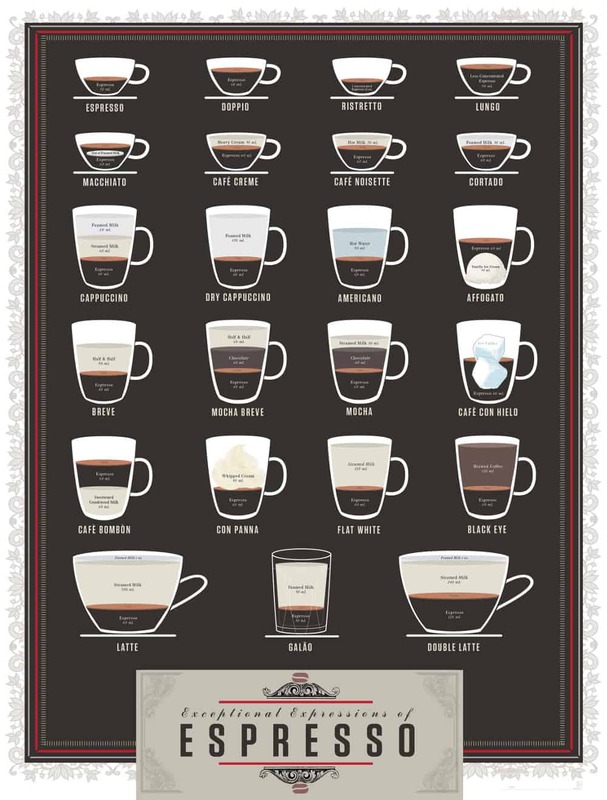 If I do make a poster, rather than a crown funded, community spirited endeavor that I would share here for the public benefit of everyone (and actually give a physical poster as a thank you to investors), it will be something like the espresso poster someone referred to above that SELLS for $30 each. As far as knots I use, I am using the Wilson or the PC knot, depending which way I want the tail to go. Sometimes I try a Parnell just 'cuz now I understand how to tie it and don't have to sit through 10 minutes of youtube jabbering in order to mimic someone else tying one. It is a violation of TW's policy because you were soliciting. Then Fred Timmer must constantly be in violation of the policies. Why is Fred Timmer constantly allowed to violate the policies? Great question. But on the other hand, he (FT) was getting a lot of free promotion on a new product in a thread and it went away. And what about me? I have many YouTube videos that appear on TT at various times. I have never made a dime on any of those videos they are all add free. But if you read the policies strictly to the letter maybe they should not be posted on TT. Here is a quote from TW's policies, "Additionally, we do not allow promotion of any personal sites including posting links including Youtube and Facebook pages, blogs, websites, social media sites, etc." Do you see a link to GoFundMe? Does making a poster to share with the community, and asking for community support, sound "commercial"? You'll note that the rule you cited does not use the word "solicit", that's been read into the rule by you to justify a ridiculous position... Also there is a clear difference between a discussion and a attempt to e-market something here, which is what the rule prohibits. Testing out interest for a "product" that doesn't exist isn't the same as promoting a product or service. Since the distinction between a gift and a purchase are not something recognizable to you, then I can only assume that you have never supported anything like NPR, PBS, etc. where this type of recognition is commonplace, completely legit, and considered non-commerical. The sketch is not clear and you are duplicating what already exists. So, if the diagram is clear to you, then create it for yourself. As someone wiser than me said "perfect practice makes perfect"! Thanks for the feedback. I think part of why that pic in the first post didn't show up clearly is the scanning quality. And I was cheap and sketched them on lined loose-leaf paper. If anyone is interested to see my diagram of a different type of knot, PM me. If you weren't trolling this thread I might be able to send you the current rough "crayon", 2 cent scanner version as a JPG. Obviously I'm not trying to make money, just want to share what I've learned myself as I continue to learn more. Obviously I'm not trying to make money, just want to share what I've learned myself as I continue to learn more. What's with the mention of the gofundme link and $15 investment talk then? Why didn't you just say, I took some time and learned how to tie the various knots and sketched them out then posted it straight into your thread from the very beginning? That would have saved you all the criticism and BS. You wanted to capitalize on your time spent and 'expertise' and it blew up in your face. Just admit it.